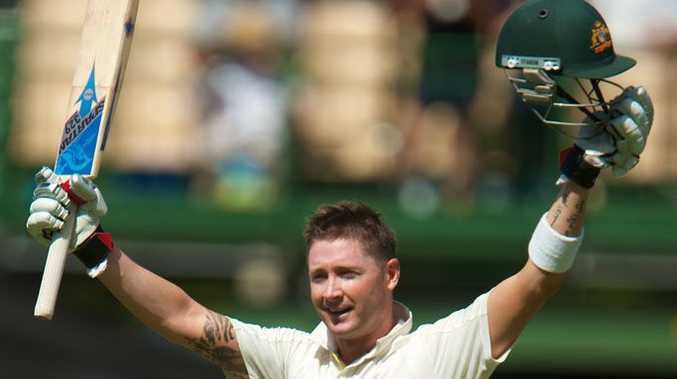 CAPTAIN Michael Clarke and former skipper Ricky Ponting were included today in Australia's 16-man squad for the three-Test tour in the Caribbean next month despite their recent setbacks in the limited-overs format. Clarke is expected to have recovered from a left hamstring injury that sidelined him for the deciding tri-series final against Sri Lanka this month and subsequently ruled him out of the limited-overs portion of the West Indies tour. The 37-year-old Ponting, who retired from limited-overs cricket after being dropped from the ODI squad last month, has been retained in the test lineup after a prolific recent series against India. Shane Watson, also returning to the test team from calf and hamstring injuries over the past three months, was among the squad for the series starting April 7 at Bridgetown, Barbados. James Pattinson returns after foot and leg injuries but Patrick Cummins, another of the injured Australia bowling corps, has not recovered enough to be considered, national selectors chairman John Inverarity said. "The national selection panel believes the inclusion of five fast bowlers, two spinners and two wicketkeepers will provide important flexibility and cover for any injuries that may occur in a country that is not easily accessible by replacement or standby players," Inverarity said. Michael Clarke (captain), Shane Watson, Michael Beer, Ed Cowan, Peter Forrest, Brad Haddin, Ryan Harris, Ben Hilfenhaus, Mike Hussey, Nathan Lyon, James Pattinson, Ricky Ponting, Peter Siddle, Mitchell Starc, Matthew Wade, David Warner.